Following up on the 1913 T200 Fatima set that features entire MLB teams, 1914 T222 Fatima Baseball goes the more traditional route with single-player cards. While the T222 cards are in moderate supply overall, the large number of short prints makes completing the full set a very difficult endeavor. Although part of the T-Series, 1914 T222 Fatima Baseball cards stand out because they don't resemble the majority of tobacco cards. Nearly double the size at 2-1/2" by 4-1/2", T222 cards are made of glossy, sepia-colored photos and printed on thin paper stock. The cards were produced by the Liggett & Myers Tobacco Company and originally found in packs of Fatima Turkish Blend Cigarettes. 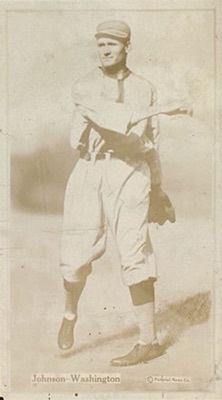 The 1914 T222 Fatima Baseball front is a framed black-and-white photograph, with the player's name and team noted in a small white box near the bottom. Cities with multiple teams also feature league designation. 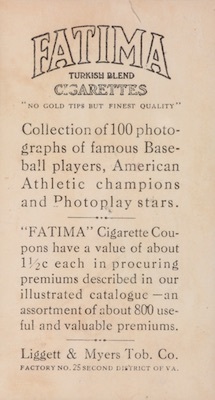 An advertisement for Fatima is shown on the back, including text that indicates the card was part of a series of 100 "famous Baseball players, American Athletic champions and Photoplay stars." While 100 cards are referenced, it does not appear that all 100 were produced for 1914 T222 Fatima Baseball. 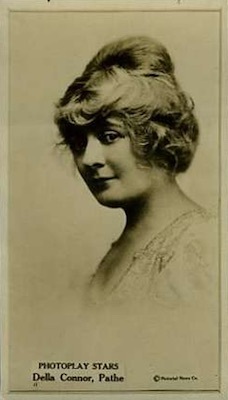 There are 52 baseball players, but only four athletes and seven photoplay stars have been confirmed. 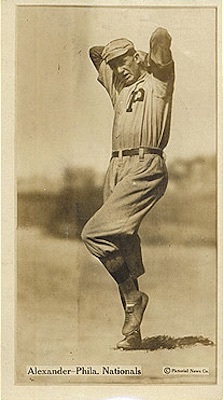 Given the overall scarcity of many of the cards and the fact that the baseball players were the preferred options, it's possible that other examples will emerge in the future among the non-baseball cards. Most baseball collectors consider the set complete at 52 cards, but the non-baseball subjects bring the full number to 63 cards. 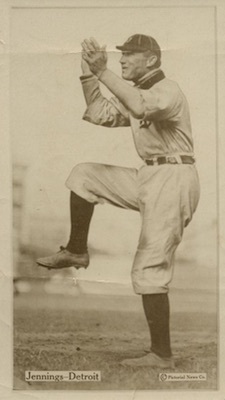 Despite missing several big names, like Ty Cobb and Christy Mathewson, multiple Hall of Fame players populate the 1914 T222 Fatima Baseball checklist, including Walter Johnson and Frank Chance. 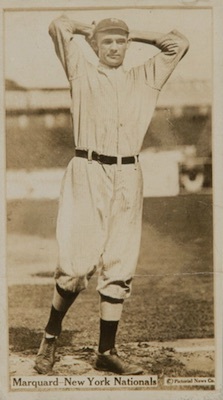 Also, another notable option is an early card for Grover Cleveland Alexander. While it has never been officially confirmed, collectors have long believed that the small numbers printed under the player's name on the card fronts helped indicate the overall rarity. 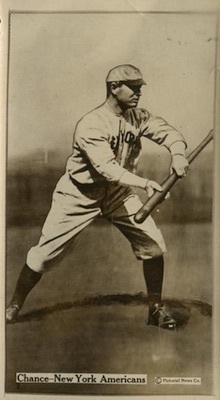 Some cards do not feature a number, but the majority of the baseball cards can be found with a number ranging from 2 to 9 or 12 to 15. It is now largely thought that cards with 12, 13, 14 or 15 are the rarest. The Walter Johnson card (#15) is exceptionally rare. 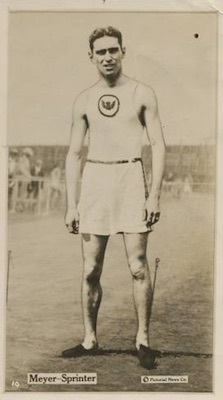 The American Athletic Champions all include the number 10 on the front and most of the Photoplay Stars do not feature any numbers. Cursed by an abundance of creases and overall fragility, largely due to the thin stock, 1914 T222 Fatima Baseball are especially difficult to acquire in mid-grade. Also, since many of the 1914 T222 Fatima Baseball cards are very short printed, complete sets are quite tough, but not impossible. 1914 T222 Fatima Red Murray New York Nationals,very good cond. 1914 T222 Fatima Al Demaree Giants PSA 1 !!! Arthur Phelan - 1914 Fatima Players T222 #40 Nice Vintage Card! Click on the images or images to shop for cards on eBay. 63 cards. Shop for base cards on eBay. The cards are listed in alphabetical order by last name. Cards with numbers on the front are noted when available. 1914 T222 Fatima RUBE MARQUARD PSA 1 PR New York Giants HOF Tough Card!!! 1914 T222 Fatima Graded Baseball - Complete your set. Pick your card.